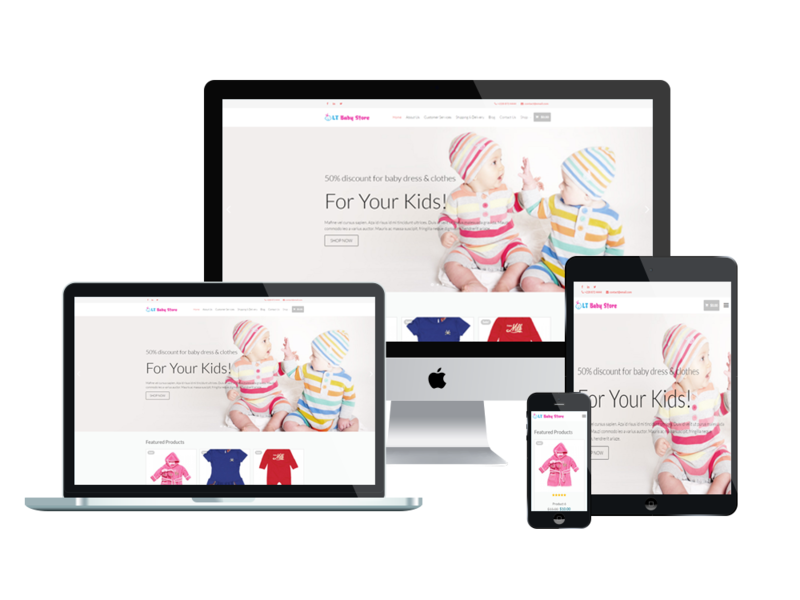 Beautiful Baby store WordPress theme used for clothes shopping cart or baby store websites to showcase the most trending baby fashion! 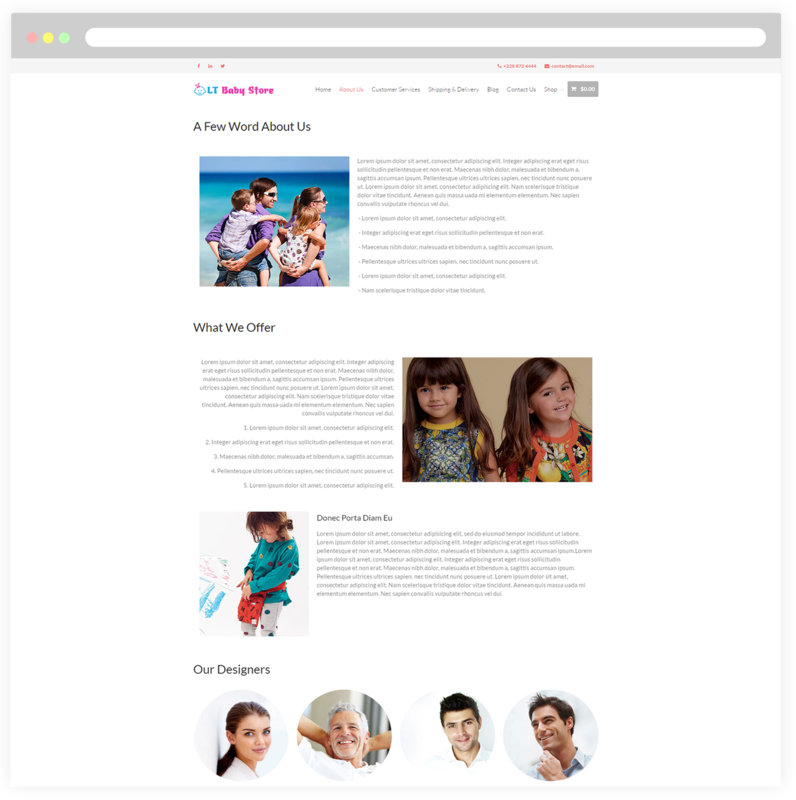 LT Baby Shop is a premium design WordPress theme that is highly recommended for kids or baby store websites. 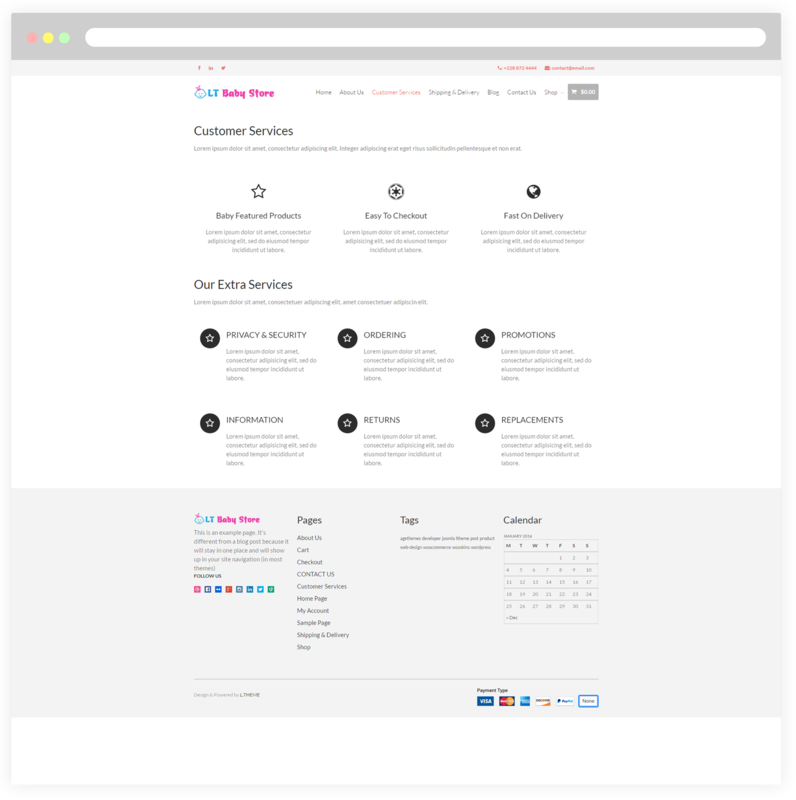 The theme comes with a clean and lovely design using soft-colors, which makes it suitable for setting up any child-related store website. 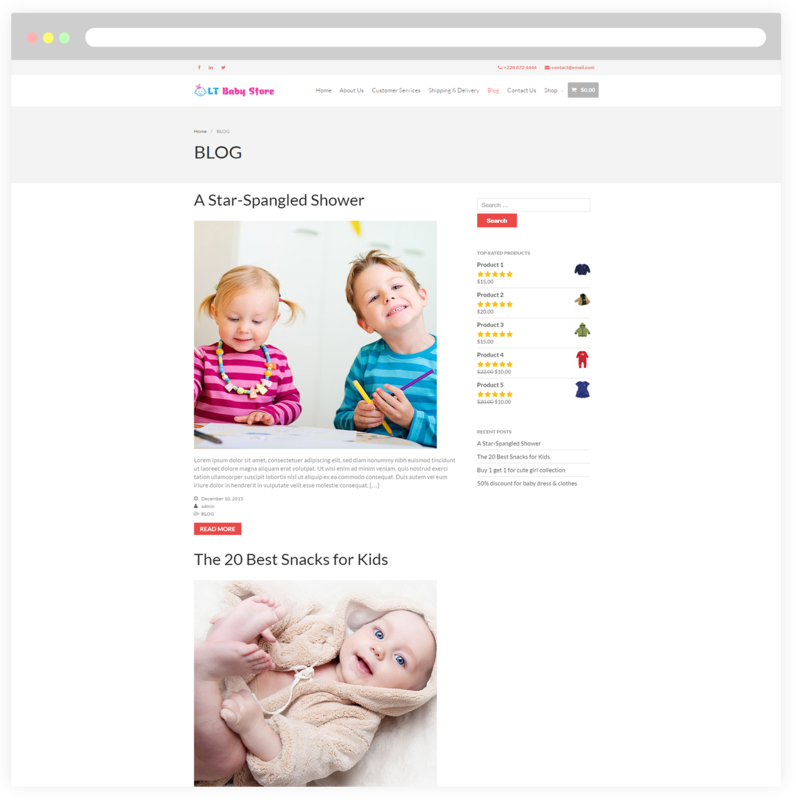 This is a beautiful baby store wordpress theme to showcase children clothes, dresses, coats and jackets… as well as provide detailed information about its styles and prices. 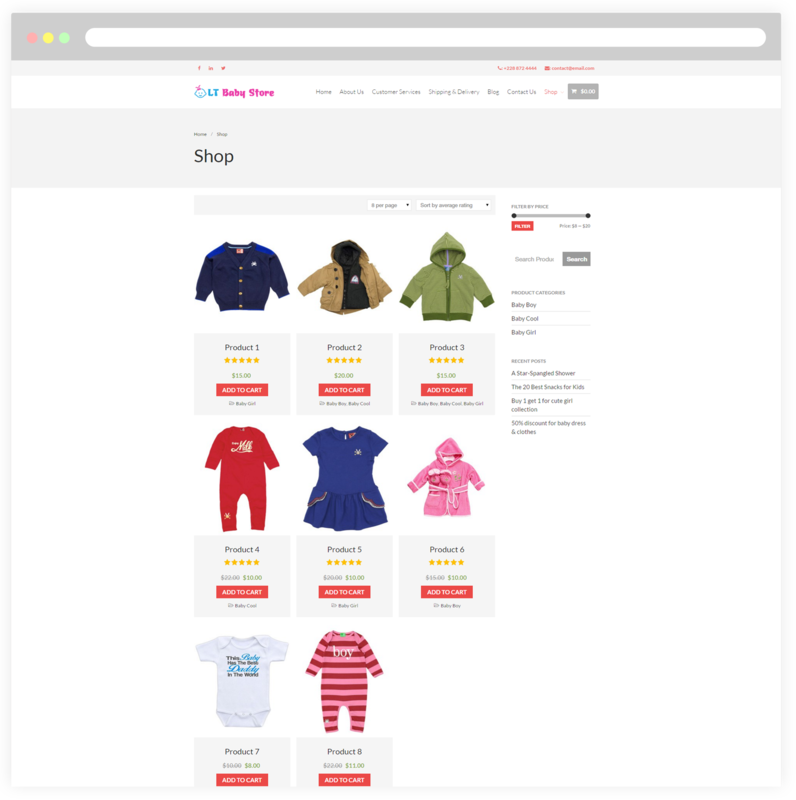 Especially, to make it convenient for you to run online business, we have integrated Woocommerce – an efficient ecommerce platform to LT Baby Shop, so your customers will get it easy to go shopping, add to cart and make purchase. 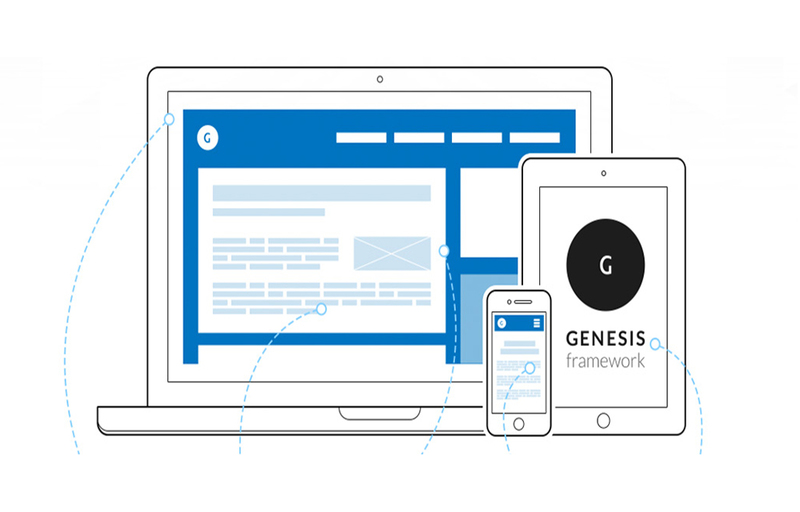 This theme will be a strong online solution for your store since it supported with fully bootstrap under 100% responsive layout and powerful framework, drag-drop layout content, Bootstrap CSS & Genesis framework for a more beautiful and customizable website. 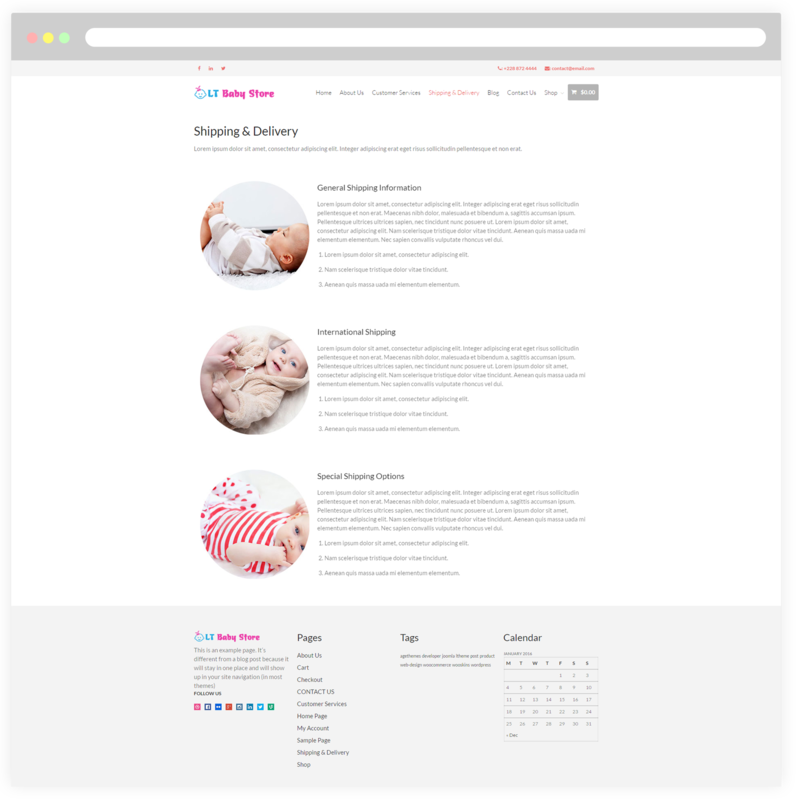 Don’t wait anymore to have a successful online business, go with Baby Store WordPress theme now! Introduce to your customers what products you offer and do not forget to recommend information about design team through this page. Any online shop site should have customer support services, so we created this page to serve the business needs of your shop. All services will be presented to the customer helping them access easier. Share the latest fashion trends for children to your customers on social medias like Facebook, Twitter, Google+… This is the best way to improve your customers relationship via blog. 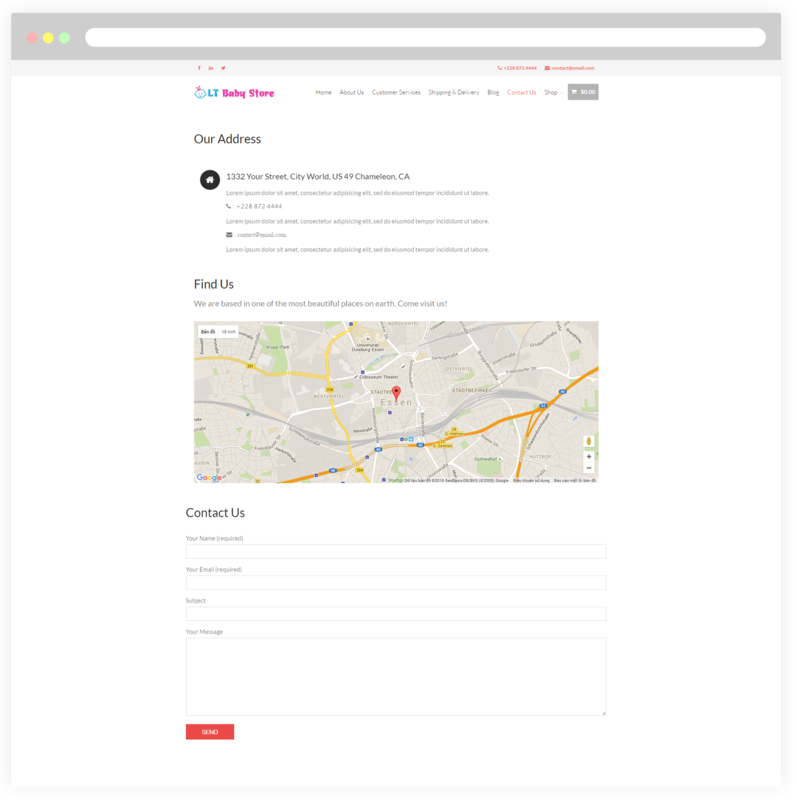 This page will help your customers quickly find the contact information of your shop. In addition, send their feedback to your shop with ease. The shop page is especially important to classify kinds of clothes such as baby girl, baby boy, baby cool… from your shop.